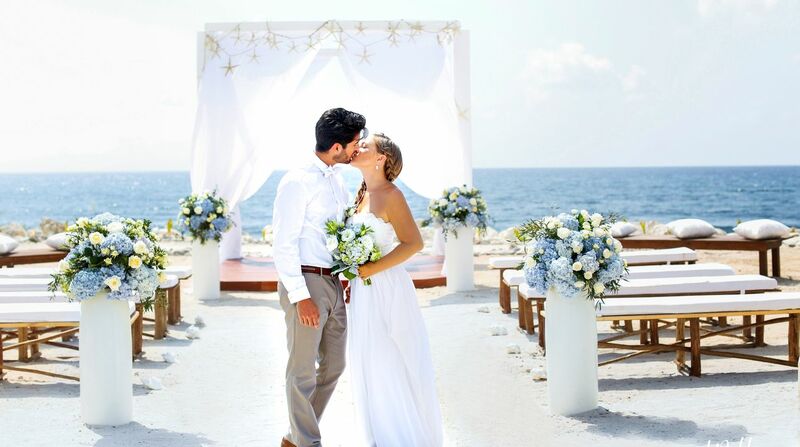 Your dream wedding at the beach. Inspired by sun, sea and sand, this elemental design from the Karen Bussen Wedding Collection lets you decide with the serene simplicity of billowy fabric and seashells. Take your celebration to the next level with Waves of Love Luxury, including upgraded elements curated by Karen Bussen.